How to Celebrate Read Across America Week ~ Roses and Rain Boots . So as you know I am a teacher but what you may not know is how much I love Read Across America week! This is by far my favorite time of the year. 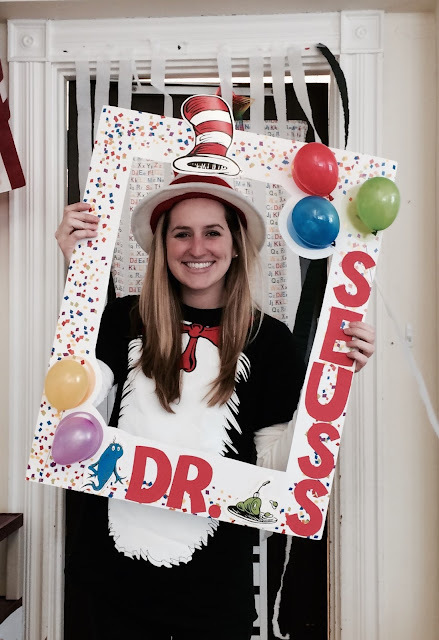 It is a fun and engaging way to foster a love of reading with elementary students by celebrating one of the greats, Dr. Seuss' birthday. In order to really engage our students my co-workers and I create a school-wide spirit week filled with various activities all to promote reading. Last year one of my talented co-workers made this awesome photo booth for everyone to use! It was a great hands-on way to kick off Read Across America week. As you can tell I kind of get really into it. Every day one teacher announces "It's time to drop everything and read!" During this time everyone in the school grabs their favorite book to read for 15 minutes. It is really important, especially at the elementary level, that your students see you, the teacher/adult, as a reader too. To let everyone know the time has ended the teacher announces a Dr. Seuss trivia question. 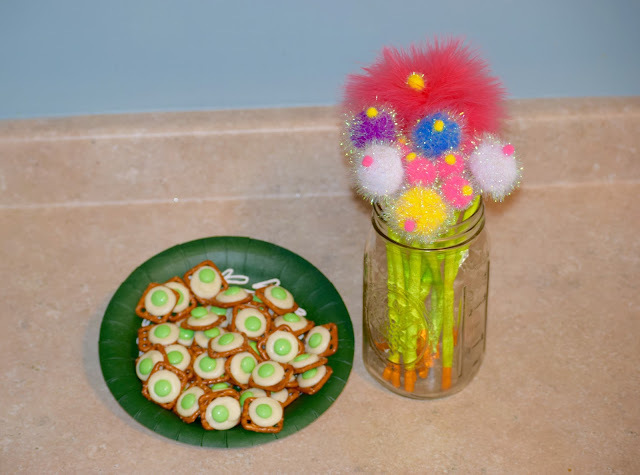 Additionally, every day honors one Dr. Seuss book and a coordinating activity. Kick off day begins with Cat in the Hat Day, where all students are invited to wear their favorite hat. Can you guess what my hat of choice is? 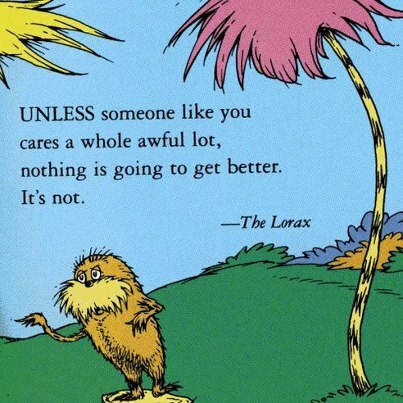 My favorite day, The Lorax Day, encourages students to wear a mustache and remind them they too can "Speak for the trees!" This easy but highly engaging activity is the stepping stone for various persuasive writing prompts or reader's theatre activities. And if that's not enough I am a huge supporter of DIY (Do-it-yourself) crafts or my students. This year I made them their very own Lorax/Horton inspired tree pencils. I present the students the pencils after reading them the Lorax modeling appropriate phrasing and expression, but most importantly to empower my students with the message: they have the power to make a difference. 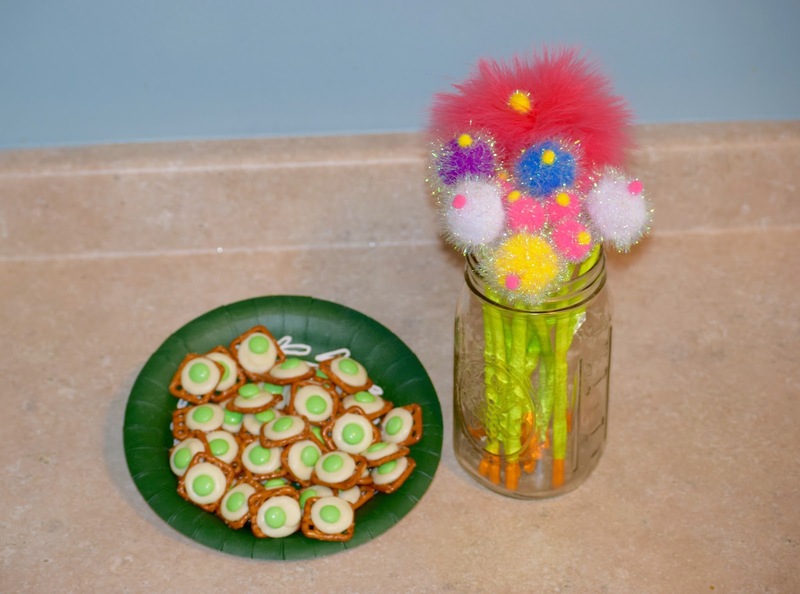 I also made some tasty green eggs and ham treats for my co-workers! 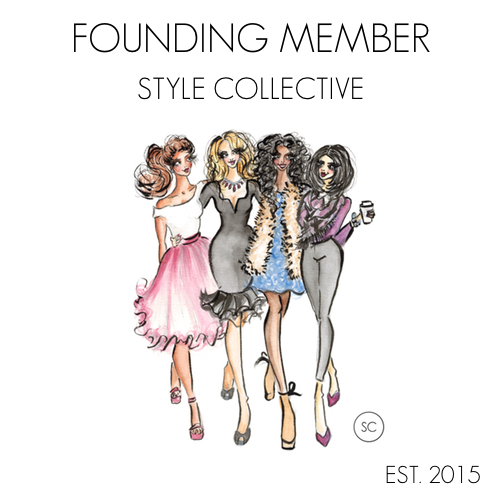 Thanks SO much for checking out my blog and reading all about my first love teaching (sorry fashion). Please feel free to email me or leave a comment if you have any questions about any of the activities discussed today! Book junkie right here! I love reading and instilled this at a young age in my son. That's SO awesome to hear!! Fostering a love of reading at a young age is one of the key components for developing young readers!